According to the National Academy of Sciences, a sixth mass extinction is underway. Animal species are disappearing at 1,000 to 10,000 times the natural rate. 30 to 50 percent of the planet’s species could be extinct by the year 2050. We recently reported on scientists using artificial intelligence to analyze photos to help track at-risk species such as giraffes and whale sharks. 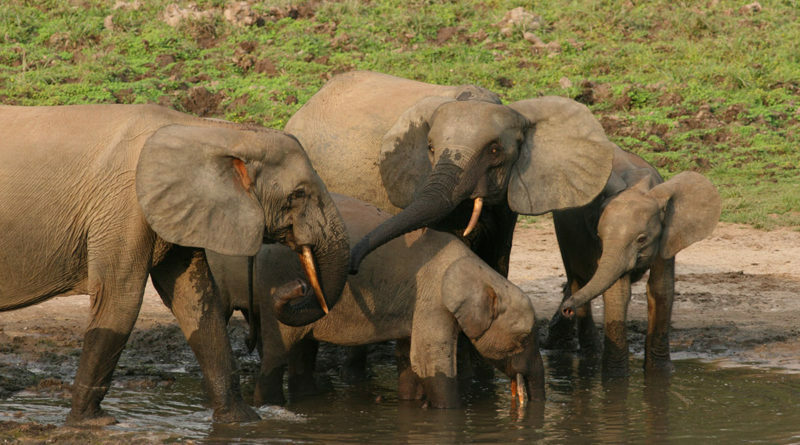 Now AI is being used to analyze sound to help protect forest elephants in central Africa. Mainly due to poachers and habitat destruction, the number of forest elephants went from an estimated 100,000 in 2011 to fewer than 40,000 today. Unfortunately, the animals are difficult to track due to their vast range and the region’s thick rain forest. Cornell’s Elephant Listening Project is attempting to track and protect forest elephants by using acoustic sensors. Scientists analyze sound data to gain critical information about the animals’ location, numbers, and behavior. For example, using the data, the team can create maps of habitats or learn if they are traveling in areas that put them at risk for poachers. The project has about 50 sensors in the Republic of Congo’s Nouabalé-Ndoki National Park. 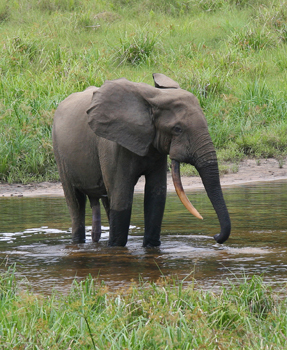 To help analyze data quicker and improve accuracy, the Elephant Listening Project has teamed with Conservation Metrics. The Santa Cruz, California based startup has developed a tool that uses artificial intelligence, machine learning, and data analysis to separate the long low-frequency elephant cries from other rain forest sounds. Before implementing the tool it took the ELP about six to eight weeks to analyze the sound data with its five computers. Scientists then had to hand check samples of the data to make sure results were accurate. The sensors normally generate about 7 terabytes of data from the 580 square mile park every three months. Until recently this took way too long to protect against poachers and other threats. Scientists could not simply process the information and notify authorities in time. Conservative Metrics’ tool was able to analyze the data in only 22 days. By being able to process and analyze the data quicker, scientists can sooner alert park officials if the elephants may be in danger. The project has also recently received a grant from Microsoft which includes access to its powerful cloud server Azure. Once incorporated, this could cut the time down to one day. The project still has some issues to deal with. Currently, the sounds get recorded onto memory cards which need to be collected by workers, taken 500 miles to the city of Brazzaville and then mailed to Cornell University located in Ithaca New York. The hope is for eventually the AI to be installed directly into the sensors located in the park which would then send the data via text to the University. Conservation Metrics isn’t just about monitoring elephant sounds. The company is using their technology and expertise to help monitor a wide variety of birds, frogs, and other animals. They’ve worked on over 200 biological monitoring and resource management projects around the globe for both paid and pro bono clients. It’s great to see conservation teaming with artificial intelligence to help these wonderful creatures. If you would like to learn more about the Elephant Listening Project please visit their website. Check out our articles on a doctor performing surgery over 5g and AI that can translate brain activity.